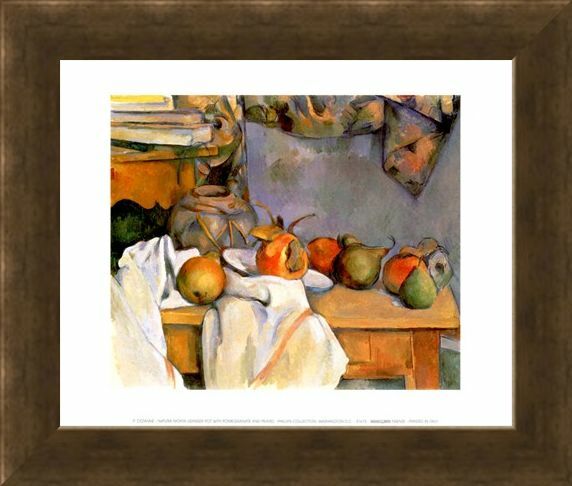 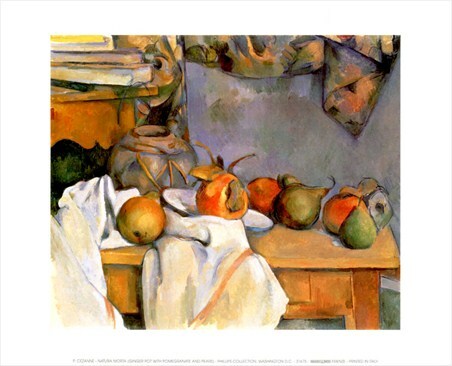 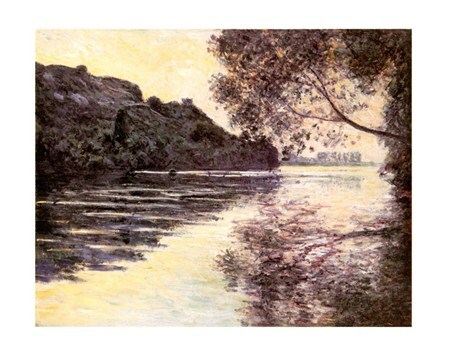 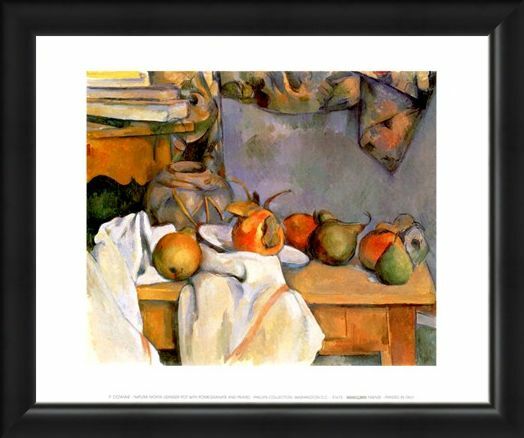 Impressionist Mini Art Print: French artist, Paul Cezanne's exquisite use of colours add such incredible depth and composition to the pictures he painted. 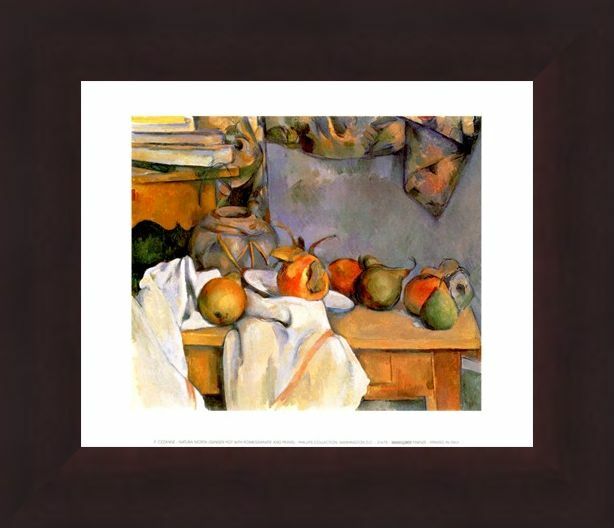 This one, named Natura Morta, or Ginger Pot with Pomegranate and Pears includes vivid shades and a wonderful attention to detail which makes the picture jump out at you, almost in 3D. With the fruit delicately balanced on the table they certainly look good enough to reach out and grab. 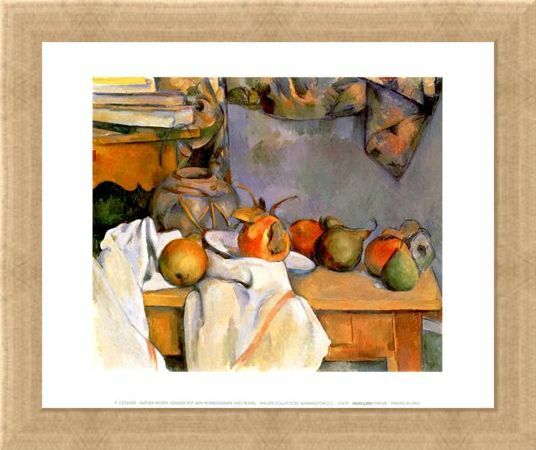 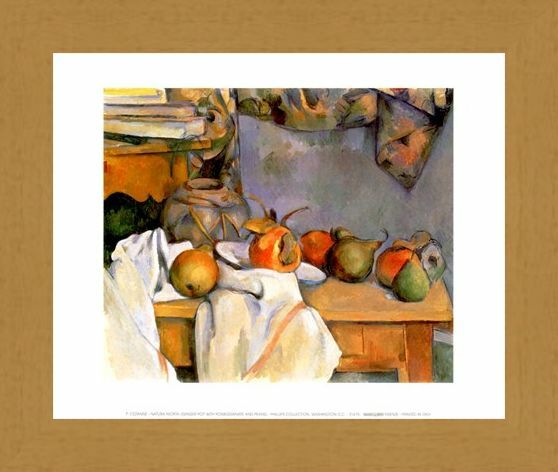 So if you love the impressionist painters and think this creation by Paul Cezanne is a true feast for the eyes, then why not hang this fantastic high quality mini print on your wall. 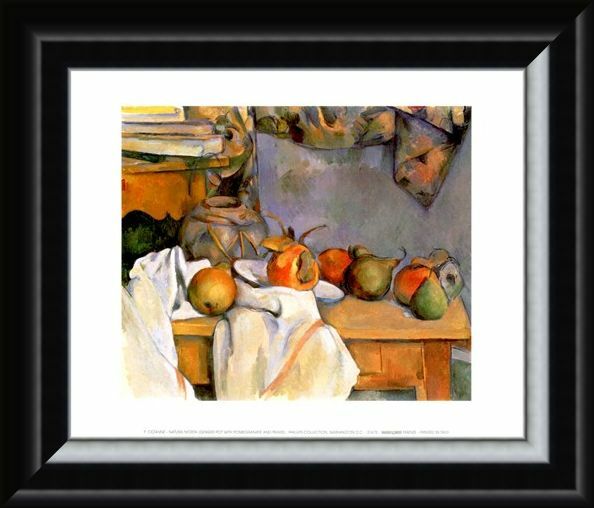 High quality, framed Ginger Pot with Pomegranate and Pears, Paul Cezanne mini print with a bespoke frame by our custom framing service.